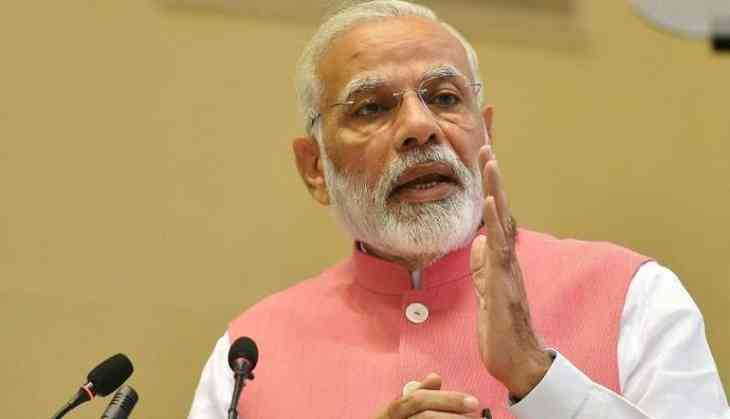 As the Prime Minister Narendra Modi turned 68 on Monday, he is celebrating his birthday in his parliamentary constituency at Varanasi. According to a notification issued from the Prime Minister’s Office, he will spend the day interacting with schoolchildren. The Prime Minister is on a two-day visit to Varanasi. Since Monday, he will be there. He will visit Narur village where he will interact with the children of a primary school run by non-profit organization “Room to Read”. After that, he is scheduled to meet students of Kashi Vidyappeeth as well as children assisted by them on the premises of Diesel Locomotive Works. As per official sources, Modi will also visit to Kashi Vishwanath temple later in the day and watch a film “Chalo Jeete Hani” inspired by his life along with a few school children. The movie will also be screened on various broadcast channels on national television. On the next day, he will lay the foundation of various development projects including integrated Power Development Scheme (IPDS) for Puraani Kashi, Atal Incubation Centre at BHU. The Prime Minister started to receive birthday wishes from the dignitaries and political leaders. President Ramnath Kovind, Congress President Rahul Gandhi, Union Ministers Arun Jaitley and Rajnath Singh wished PM Modi on his birthday.